Many petites share in their concern about the dark. I can remember being small and worrying about it being too dark and needing a nightlight. This is something that I am sure even little cave-petites worried about (okay, maybe not, but it’s a problem that’s been around for a long long time). Here are two books that I think put a really interesting spin on what darkness has to offer. Sometimes, with best intentions, we try to play down being anxious or scared of things, these two books celebrate and respect the dark. 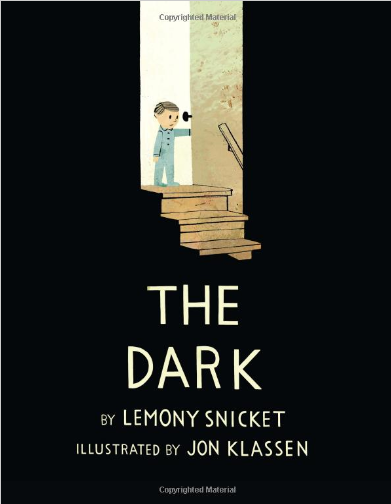 The first book I want to share with you is The Dark (Bccb Blue Ribbon Picture Book Awards (Awards)) by Lemony Snicket (2013) with illustrations by Jon Klassen. In this book Laszlo is a young boy who is afraid of the dark, what is unique about this story is that the dark is also a character. What I think is so relatable about this story is that the petite sleeps with a nightlight on and one night the bulb burns out. Laszlo talks to the dark and is invited into the basement, which is the darks room. In that room the dark tells him he has something to show him, as it would turn out it is a drawer full of light-bulbs. After that night Laszlo has a much better understanding of the dark and is able to overcome his fear. I think this would be a great read for possibly five year olds and up. 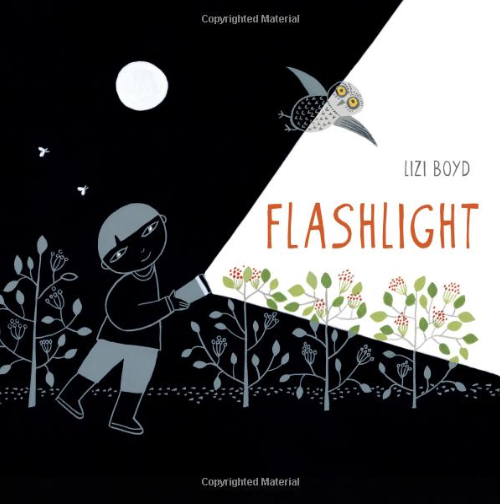 The second book is Flashlight by Lizi Boyd (2014). I recently shared this book in the post – Wonderful Wordless Books. This book has so much to offer. 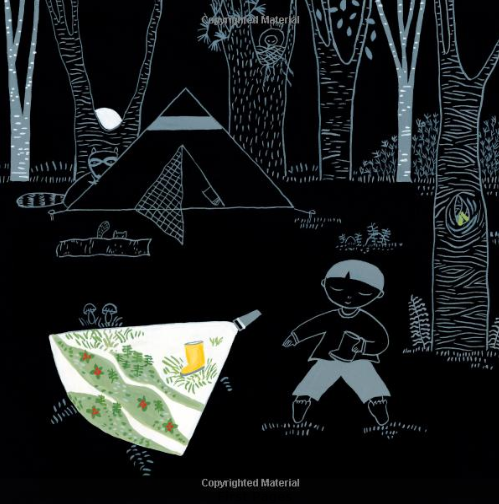 A petite is camping and ventures outside of their tent into the darkness of night with their flashlight. With this flashlight amazing things are revealed to our daring protagonist. Whether it is little mice eating strawberries or beavers building their dam. What is silly and fun about this story is that our protagonist trips and drops the flashlight, what happens next is simply magical. Both of these books have so much to offer in way of talking about darkness and working through a fear or anxiety about it. The Dark is a little bit more appropriate for 5 and up, as the dark is personified and talks to Lazlo, which might be scary for younger petites. Flashlight is perfect for all ages. Whichever book you choose I am sure they will be enjoyed.